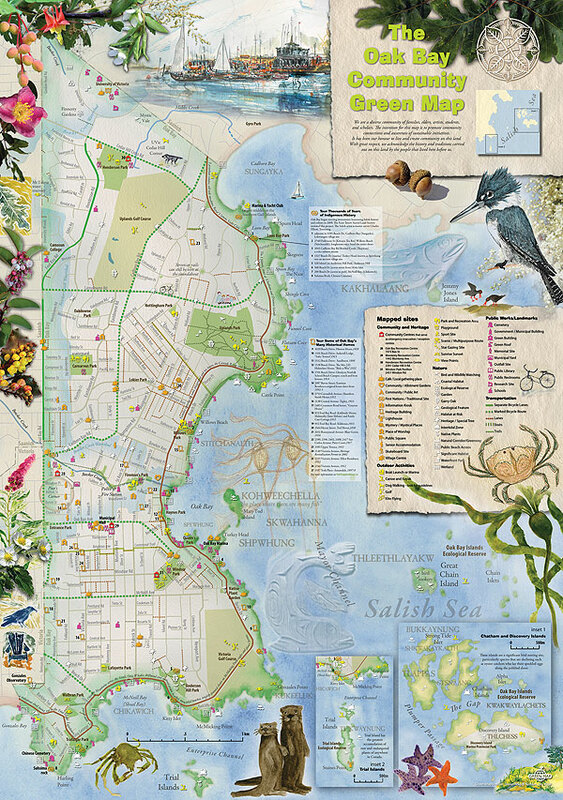 Countless residents of Oak Bay collaborated over the past six years to produce, fund and print the Oak Bay Community Green Map. The idea of Oak Bay’s own Green Map was envisioned around the time Councillor Pam Copley and Jill Croft attended a Green Mapping Course at Royal Roads. The first of many community outreaches was held at Oak Bay’s Centennial Celebration at Windsor Park in 2006. Pam, Jill, Jane Ramsay, members Oak Bay Community Artists engaged the community and produced the first rough drafts of a map. The input, revisions and outreach could not have been completed without the cooperation of many individuals and community groups. It is hard to believe that this process has taken 6 years to complete. 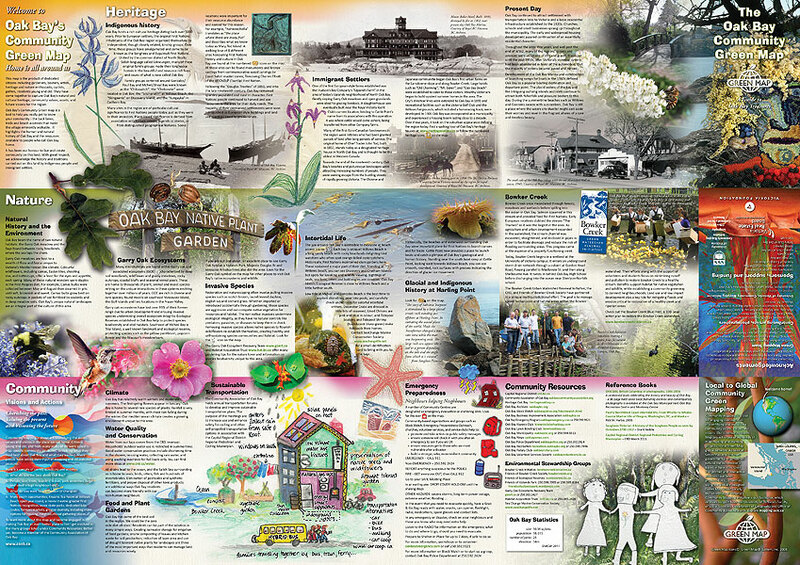 It was through the mapping process that the Community Association of Oak Bay was formed and took over the development of the map. This work could not have been done without the leadership and dedication of Cartographer Ken Josephson of the University of Victoria Geography Department and the Community Mapping Initiative, and Maeve Lyndon also of Uvic and the Office of Community Based Research. Our major financial supporters were the Victoria Foundation, Victoria Real Estate Board, the District of Oak Bay and the members of the Community Association. Lynne Milnes led the fundraising effort. We are grateful to the Green Mapping Team, the numerous contributing artists and all of our Sponsors, and Supporters.